The three sisters and brothers are once again mistreated by their cruel aunt and uncle, just because of their disappeared pilot parents. Jack, their best friend, comes to their rescue. 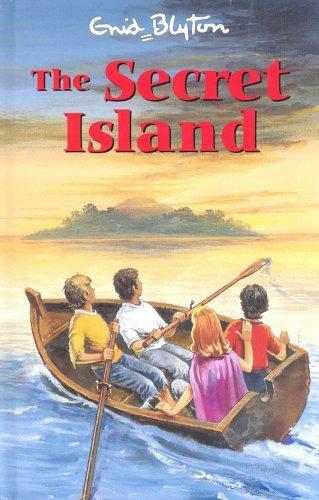 They escape to a secret island, and live an exciting life there, full of adventures and from time to time have to return with their boat to the shore to get things they need (not necessarily only non-living things). This story shows how merciless some people are; like the three children's aunt and uncle. I liked how they managed to live their on their own... but also with Daisy... And you have to read the book to know who Daisy is. 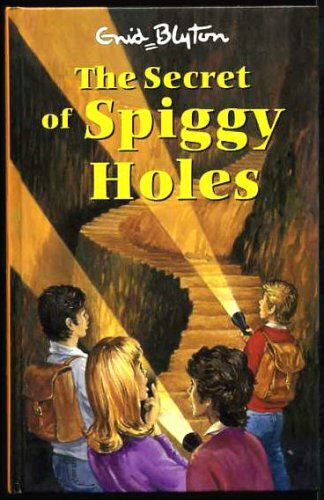 The four children are looking forward to a nice relaxing holiday in a beautiful deserted place called Spiggy Holes. A kind woman called Ms. Dimity takes care of them there but doesn't know what is waiting for her. As always, the children are caught into an adventure. It's a strange book because the children meet such evil people and I never understand how they always come out alive... and top.